January 8th through February 3rd, 2019, Rochester’s Geva Theatre Center will host the world premiere of a comedy that’s timely in its topic and challenging of popular biases. 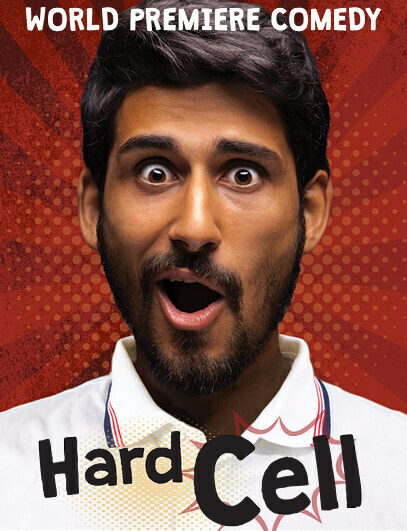 Brent Askari’s Hard Cell was selected for a workshop at the 2017 PlayPenn conference, a competitive play development event that’s spawned more than 140 new works and in 2017 saw its first production go to Broadway. The poignant satire centers on an Iranian-American college professor who gets stranded in middle America and runs smack into an unfortunate case of mistaken identity. Faced with a potentially life-or-death scenario, he “uses his attackers’ own Islamophobic stereotypes and fears against them, manipulating the situation in order to survive a modern American nightmare.” The ensemble cast is a blend of Geva favorites and veteran actors making their Geva debuts. Grab your tickets, open your mind, and get ready for an evening of laugh-out-loud comedy.